In 1664, when Oliver Cromwell was the Lord Protector of England, Christmas celebrations were banned in the country. After his death, his son took the position but was removed from it after two years. This was followed by the Georgian Era which began in 1714 after King George I took the throne. This lasted till 1830 when King George IV died. When George I was crowned, the ban on the celebrations of Christmas had already been lifted and it had become one of the most popular occasions of the British. However, the changing social condition of the country limited the way in which Christmas was celebrated and the Georgian Era experienced a completely new form of celebration for this day. Before it was banned in England, Christmas was one of the most awaited festivities in England. The Christmas season used to begin on December 6th, which is St. Nicholas Day and lasted till January 6th, which was the Twelfth Night. The one-month long period was a holiday in England during those times and people used to celebrate it in their country houses. It was a norm to visit the Church during the day and at night, people used to gather for parties that included dance and music, special dishes and games that were played specifically during the Christmas season. When the Georgian Era began, England was in the middle of a rapid process of change that was brought in by the advances in the field of technology. The industrial revolution has started and it was not good for businesses to give a month-long holiday to their workers. This made Christmas the most popular celebration, however, the festivity and emotional value attached to the festival had reduced considerably. In spite of this, Christmas Eve was a national holiday and most people spent it with their families and friends in their country houses. This was applicable to all social classes alike, just like the method of celebration that people followed. 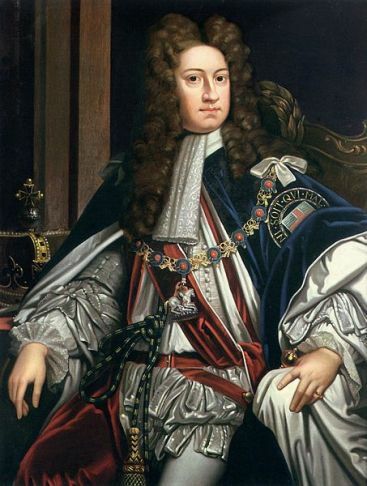 According to the popular belief, King George I was served pudding on the first Christmas after he took the throne. With this, the tradition of eating pudding during Christmas was restored, which had been banned earlier. According to an earlier tradition, it was considered auspicious to bring greenery into the house during Christmas. This tradition was widely practiced by bringing holly, ivy, and evergreens into the house and decorating them for Christmas. However, the high-class people used to practice it during the entire Christmas season, unlike the lower social classes, who brought green into their houses only on Christmas Eve. Decorations mainly consisted of ribbons and candles but sometimes, people also used apples, oranges, and spices for the purpose. 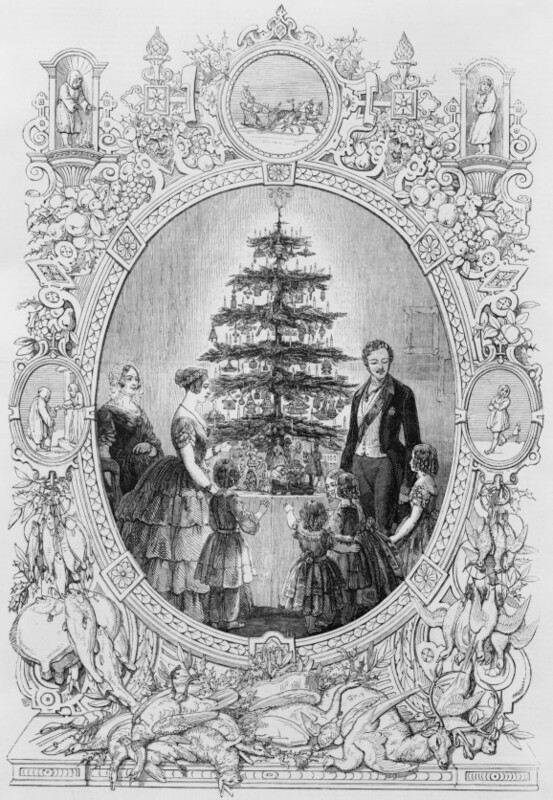 The decorations were put on the Christmas tree as well as at other places in the house. After the Christmas season, the tree was taken out of the house as it was considered unlucky to keep it inside after the Twelfth Night. Food was a very important part of the Christmas celebrations. People used to prepare a number of dishes that they would serve to their friends and family members during the Christmas parties. it was a common practice for many households to prepare the dishes well in advance and serve them cold to the guests. The minced pie was considered as a very important dish to be served during the Christmas season. It was made from minced meat before the ban because it helped people to preserve meat for the winter. However, this practice was discontinued during the ban and when it returned during the Georgian Era, minced meat was replaced with dried fruits, mainly plums and prunes. Apart from minced pie, it was customary to serve meat for Christmas dinner and turkey and goose were the most popular choices. This was followed by serving Christmas pudding, another tradition that was restored by King George I. Apart from food, parties were the main attraction of the Georgian Era Christmas celebrations. The parties were filled with dancing and music. Besides this, there were many popular games that the people enjoyed in these parties. The most common among them were bob apple, snapdragon and hunt the slipper. Elders and young people used to enjoy them alike and drinking was also very common during these parties. The most common drink was the Wassail bowl that was prepared from wine or brandy. The drink was served from a big bowl and often had apples as garnishing. 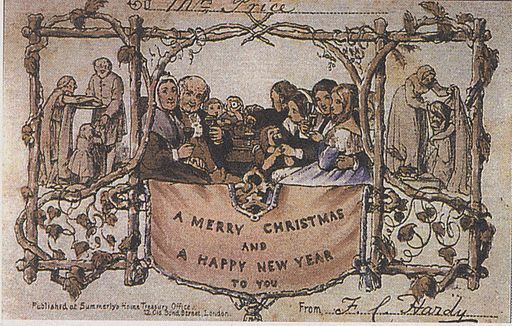 Even though the festivity of Christmas was much lesser during the Georgian Era as compared to Victorian times. However, it was a major celebration and people used to wait for it throughout the year. Apparently, after the Georgian Era, industrialization started at a much faster pace and the period was further shortened, leading to the way in which it is celebrated these days.